One or more photo(s) has been virtually staged. ENDLESS UPGRADES! Enjoy resort style living in this home built for entertaining! Welcome to the Aspen model built by Shea Homes in the community of Trilogy. This beautiful home has 2-BR/2-BA w/a den, 2,769 sq. ft. & over 100K of upgrades including SOLAR ELECTRIC. The solar equipment is leased & prepaid thru 2033. 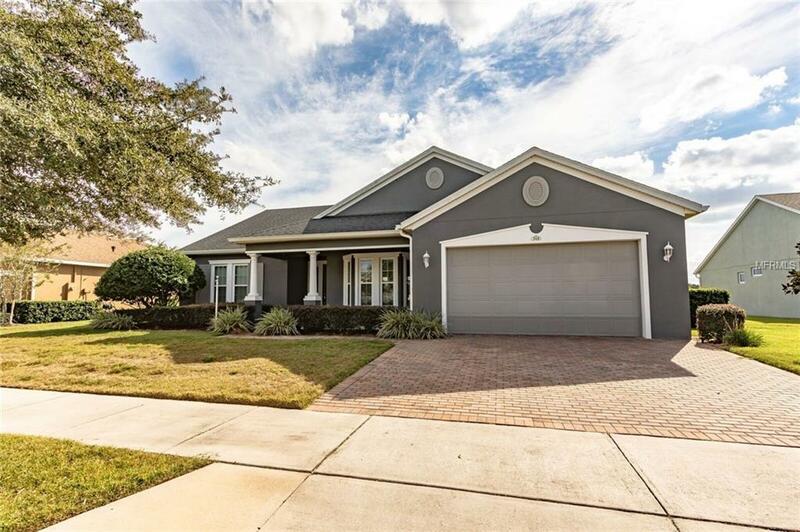 Entering the home, you will admire the beautiful hardwood flooring & the open floorplan. Enjoy a cozy private den or entertain in the large bonus room with spectacular views of the green space. The great room is at the center of the home & features formal living & dining areas. The gourmet kitchen is full of upgrades including GRANITE counter tops, a JennAir wall oven & microwave, pendant lighting, side-by-side refrigerator & a Peruvian walnut island w/bamboo top. The laundry room offers state-of-the-art washer & dryer, as well as plenty of cabinets for storage. The master suite offers a spacious bedroom, tray ceilings & the master bath has dual sinks, a garden tub, a walk-in shower & a large walk-in closet with a cherry wood organization system. A private guest bedroom & bath are located at the front of the home giving guests plenty of privacy. Other upgrades include wiring for surround sound, AC/Heat in the garage, ROS in the kitchen, & a premium lot w/extra-wide driveway & no rear neighbors. The Trilogy community gives you access to amenities such as a 57,000 sq. ft. clubhouse, gated entrance, indoor/outdoor pool, dining, theater, tennis & pickle ball courts, fitness center, game room & more. Additional Lease Restrictions Lease Restrictions Have Not Been Verified With Hoa. It is The Buyer's Responsibility To Verify Lease Restrictions With Hoa. Pet Restrictions Pet Restrictions Have Not Been Verified With Hoa. It is The Buyer's Responsibility To Verify With The Hoa.